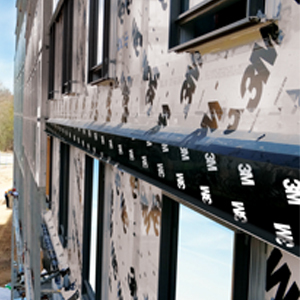 When it comes to protecting a building envelope from vapour and trapped moisture, rely on 3M™ Through Wall Flashing Membrane 3015TWF for a tough membrane designed to withstand punctures and extreme temperature. The importance of understanding the flashing design principles and installation requirements between the masonry wall assembly and the roof flashing system cannot be understated. All too often, the exterior masonry walls of a building structure are thought of as being watertight and require little or no maintenance. This article reviews the general advantages—and challenges—of green roofs, including how they fail. It reviews strategies for overcoming those challenges and provides advice for achieving long-term performance from a construction perspective, with an emphasis on waterproofing. When to use TPO and when to coat? Building owners, commercial roof specifiers, architects, and contractors have some decisions to make when it comes to the material they should use to repair or replace a low-slope roof. Three popular choices include: coating over the existing roof; thermoplastic polyolefin (TPO) recover; or TPO replacement. Architectural zinc (titanium-zinc alloy, rolled zinc, zinc strip) is a soft, natural-weathering metal that has been used for centuries in various roof applications. Its value reaches far beyond beauty and durability. As building codes and environmental trends continue to evolve, so too does the diversity of roofing material options. These factors, along with others, make construction specifiers’ roofing installation and selection prowess of utmost importance. Among the available choices is thermoplastic polyolefin (TPO).